Many people in the UK have dry skin, especially during the autumn and winter and also as they get older. Some, however, suffer from a specific skin condition such as eczema or psoriasis. According to the National Eczema Society, one in 12 adults and one in five children has eczema, a condition also known as dermatitis that causes dry, cracked, red, sore, inflamed and itchy skin. It can affect any part of the body, but particularly the hands, neck, elbows, knees, cheeks and scalp. As for psoriasis – which causes red, raised, flaky, scaly and often itchy patches of skin – the Psoriasis Association reckons between two to three percent of the UK population are affected, which is the equivalent of up to 1.8 million people. Like eczema, patches of psoriasis can affect any part of the body, but usually appear on elbows, knees, scalp and lower back. Eczema can affect people of all ages, but is mostly seen in children. The good news is that children who have eczema often grow out of it. However, it can recur later in adult life. Meanwhile, psoriasis too can affect you at any age, though experts believe the most common ages it occurs in are from the late teens to early 30s and between the ages of 50 to 60. Besides the physical discomfort of having eczema or psoriasis, both skin conditions can affect your emotional, social and personal wellbeing too. According to the National Eczema Society, the condition has a greater impact than any other skin condition on a person’s quality of life, and can disrupt family life, personal and social relationships, holidays, leisure and many daily activities. Children and teenagers with eczema can be the target of teasing and bullying, and even adults with eczema say it affects their work. Many psoriasis sufferers also feel embarrassed about their condition and, as a result, lack self-esteem. And to make matters worse, many people believe psoriasis is contagious – which doesn’t make things any easier for those who suffer from it. Knowing what triggers your eczema can help, especially if it’s something you can avoid. Meanwhile, health experts also believe there may be a link between food and eczema, and up to half of all eczema cases are thought to be caused by diet, especially in children. If you have eczema, take warm rather than hot showers or baths and avoid using highly perfumed soaps (use a mild soap or body cleanser). Also try not to scrub your skin too hard, including when you dry yourself – remember to pat instead of rub. After your bath or shower, use a mild moisturising skin cream or lotion designed for sensitive skin all over (avoid products that include fragrance or other irritants). If you suspect that your eczema flares up or gets worse after eating certain foods, try to figure out which ones are causing the problem by keeping a diary of everything you eat. After keeping a record of your diet and when you get symptoms for a while, you should be able to spot any foods that might be causing the problem. Try avoiding these foods, but ask a nutrition expert for advice, as eliminating certain foods or food groups from your diet may leave you at risk of having nutritional deficiencies. Your clothes can trigger eczema, so avoid man-made fibres such as acrylic and polyester as well as wool and wool-like fibres such as cashmere and mohair, all of which can make you feel itchy. Wearing tight-fitting clothes can also irritate your skin, so where possible, wear loose-fitting clothes made from natural cotton and silk, as these natural fibres help your skin to breathe and stop it from overheating. If you need to wear wool or man-made fibres for warmth during the winter, try not to wear them next to your skin (layer them on top of cotton or silk). Gentle activities may help you feel better, as exercise supports your overall health. But if you do anything too strenuous, it can make you hot and sweaty, especially during the summer – and getting hot and sweaty can irritate your skin. Also be careful if you like to go swimming, as the chemicals used in swimming pools can irritate eczema-prone skin. Winter can be a particularly tricky time for people who have eczema. That’s because most people spend more of their time indoors in centrally-heated environments, which create a dry atmosphere, making skin even drier. So make sure your indoor temperature isn’t too hot by keeping your thermostat at around 21ºC, and put some moisture back into the air by using a humidifier or placing small bowls of water under your radiators at home. Psoriasis is the result of immune system cells becoming overactive, which speeds up the turnover of your skin cells (normally, skin cells replace themselves every 21 to 28 days, but with psoriasis the process only takes two to six days). Since your skin can’t shed the dead cells quickly enough, they form silvery white scales that can pile up in big, raised, itchy clumps called plaques. Plaque psoriasis is the most common type, affecting 80 percent of sufferers. Nobody knows exactly why some people develop psoriasis. But we know there are many things that can cause it to flare up, including having a sore throat, not getting enough sleep, working too hard or having a shock (such as after being involved in an accident or getting bad news). It’s important to keep your skin moisturised if you have psoriasis, as letting it get too dry can make it more itchy and irritated. Use a rich moisturiser to make your skin feel more comfortable. Also avoid using soap, which can dry your skin out. Instead use a mild skin cleanser suitable for sensitive skin or an emollient cream or lotion. If you enjoy a long soak in a hot bath, it could be making your psoriasis worse. Instead, bathe or shower in warm water, as hot water can irritate your skin. Use a mild body cleanser instead of perfumed soaps or gels, and avoid rubbing your skin when you towel dry. Experts believe smokers are more likely to have psoriasis than non-smokers. That may be because toxins in cigarette smoke may affect parts of the immune system that are linked with the development of psoriasis. So if you haven’t done so yet, make a date to quit. If you’ve already tried but haven’t been successful, there are lots of stop-smoking products that may help, such as patches, lozenges and gum. Adopting a healthy, balanced diet and drinking plenty of water is a good idea, though there’s no evidence to suggest it can affect psoriasis (it will, however, improve your overall health). There are some people, however, who believe some foods make their psoriasis worse, including sugar, white flour, caffeine and gluten. Losing weight, if you need to, may also help. Meanwhile, since psoriasis is more common in people who drink a lot of alcohol, it’s a good idea to cut back on drinking if you drink more than a moderate amount on a regular basis (stick to the government’s alcohol intake guidelines: 3-4 units of alcohol a day for men, 2-3 for women). Some experts believe sunshine is good for skin that suffers from psoriasis, so expose your skin to the sun for short periods of time without using sun protection whenever it’s sunny (don’t, however, stay in the skin long enough to let your skin burn). And if it’s possible, you could also think about taking a holiday to a sunny location during the winter months. For instance, for those who can afford it, there are clinics near the Dead Sea in Israel that offer the Dead Sea treatment for psoriasis, which includes bathing in mineral-rich sea water. Most people realise that being under too much stress can be bad for your health, both physically and emotionally. However, unless you suffer from one of them then, you may not be aware that eczema and psoriasis can be affected by stress. Nobody knows exactly how stress is linked to eczema and psoriasis – it’s a bit like the chicken-and-the-egg situation. One theory is that stress directly contributes to the development of eczema and psoriasis while another suggests living with one or the other condition simply makes your life more stressful. Take psoriasis, for example. According to the US-based National Psoriasis Foundation, people with the condition have higher rates of depression and anxiety than those who don’t have the skin condition. It’s also thought that people with psoriasis experience problems with fatigue and lack of sleep, which may also make them less able to deal with stress. 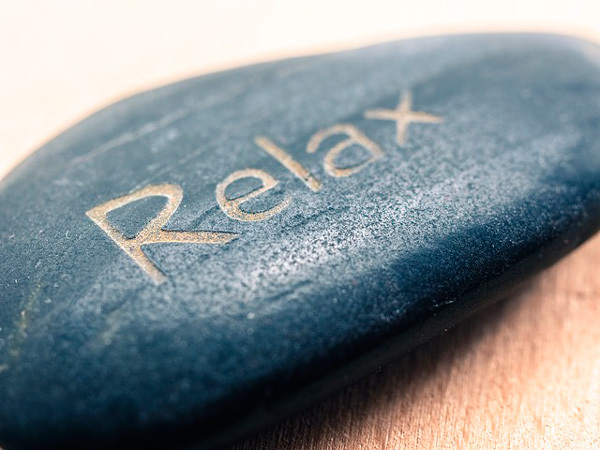 Either way, if you have eczema or psoriasis and find your symptoms flare up when you’re under more stress than normal, it’s important to learn to relax. It’s just a matter of finding the right relaxation method for you, whether that’s deep breathing, meditating, doing yoga, going jogging or curling up with a good book. Whatever method you enjoy, try to make it part of your daily routine. Keep going for anything between 5 and 20 minutes (depending on how much time you have), and aim to practice daily. To keep your skin as healthy as possible, it’s important to eat a balanced diet. Many nutritional experts also believe taking fish oil supplements can help, as the omega-3 fatty acids found in fish oils may help relieve inflammation, dryness and itching. According to one small-scale study, taking fish oil capsules may significantly reduce itching and scaling in psoriasis (i), while other researchers suggest that one of the main omega-3 fatty acids found in fish oil – namely DHA (Docosahexaenoic Acid) – may have a beneficial impact on the outcome of atopic eczema (ii). Taking a high-strength multivitamin and mineral formula may also be beneficial, as it may support your overall health and immune system. Formulas that contain vitamin C may help with itching, for instance –as vitamin C is a natural antihistamine –while zinc and vitamin E may help to strengthen the immune system. (i) Bittiner SB, Tucker WF et al. A double-blind, randomised, placebo-controlled trial of fish oil in psoriasis. 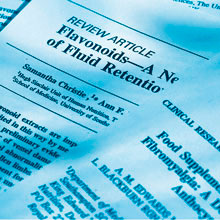 Lancet 1988 Feb 20:1(8582):378-80.